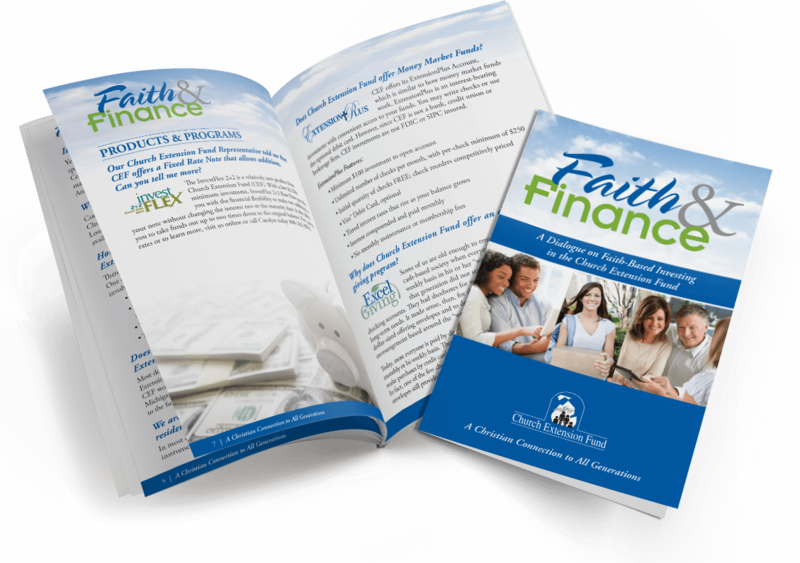 The Church Extension Fund, a ministry of partnering Christians, enlisted us to develop marketing materials about their financial products. 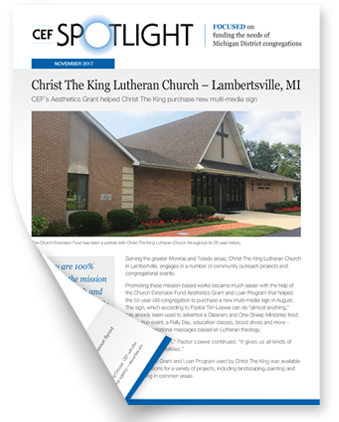 Through easy-to-understand publications and inspiring case studies, we effectively communicated their message to Lutheran churches and parishioners throughout Michigan. Complicated financial topics can be daunting to understand. In order for CEF to get its audience engaged, they knew that an educational approach was key. 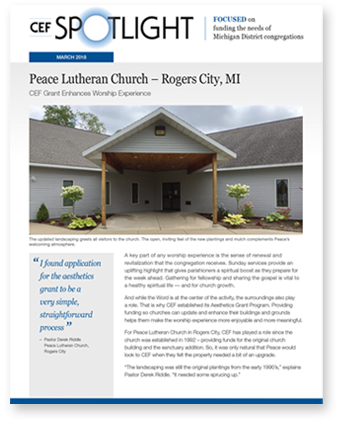 Using a Q&A format, we designed a monthly Faith & Finance magazine spread that provided answers to congregation members’ financial questions. 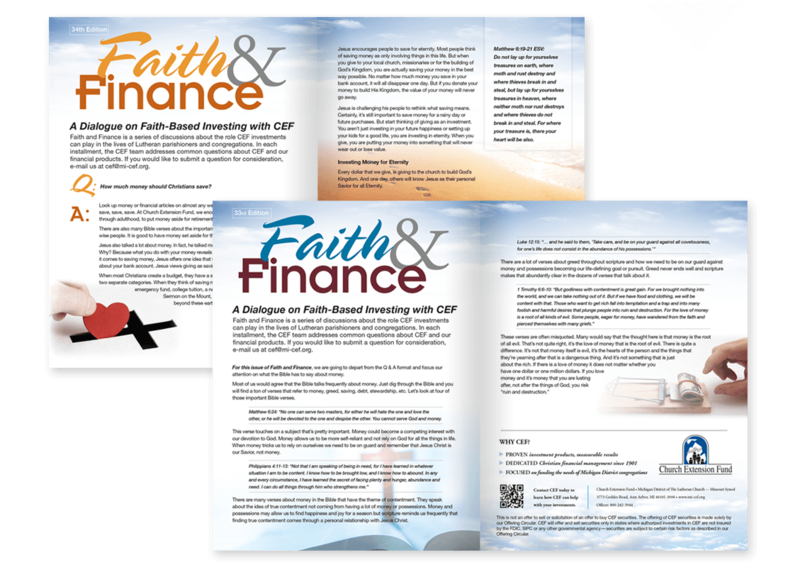 To further demystify investment topics, we produced the Faith & Finance Handbook; a guide to all of CEF’s many services. 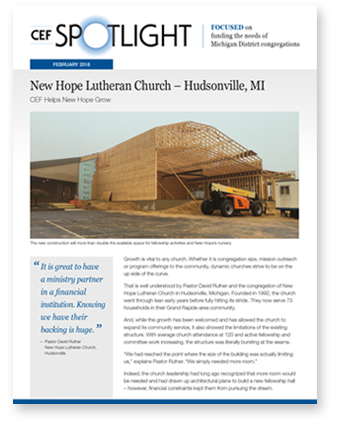 We took the ideas of the Faith & Finance publications a step further when we designed a new magazine spread: Spotlight. Instead of just explaining how the financial products worked, we wrote real-world case studies demonstrating the power of partnering with CEF. 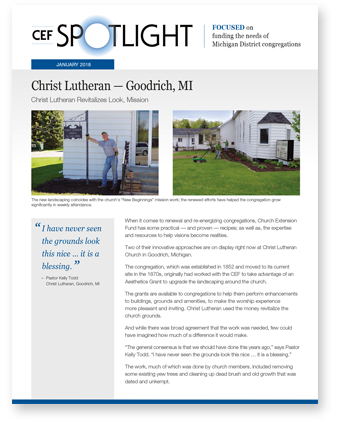 Through Spotlight, congregations could see how CEF’s financing made it possible to transform not just churches, but entire communities.